Bake it Pretty stocks cheeky and cute supplies for baking. Amanda has brought together so many unique items in new ways, it makes me want to put down my embroidery and bake stuff! 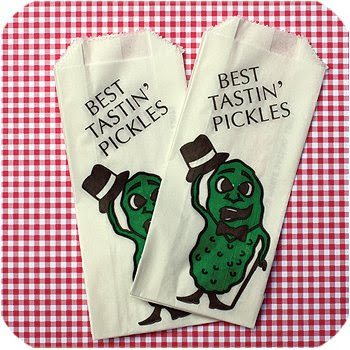 I especially love these silly pickle bags. They make me laff (obvious resemblances to Mr. Peanut not withstanding).